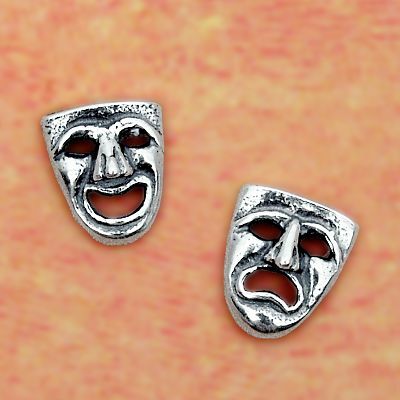 - Tiny sterling silver comedy and tragedy masks, with their exaggerated expressions, will be treasured by any theater-lover. Masks measure 1/4" tall. Do you have any other questions about our Silver Drama Masks Stud Earrings?